What are the unique factors that shape transportation development in Miami-Dade? Congestion is a national issue, but it plays out differently at the local level. We have to provide our own solutions, and, thankfully, we have amazing assets: our Metrorail system, the free downtown people mover, and an expansive bus system that all together move nearly 350,000 people per day. As to unique factors, I think our geography provides some challenges. For example, Downtown Miami is on the water and we have to work with bridge systems. Moreover, Miami-Dade— bordered on the west by the Everglades and on the east by the ocean—is highly land-constrained. For transit purposes, the fact that our development is constrained to north-south is actually a benefit. We are fortunate we are not like, say, Denver, which doesn’t have natural boundaries that limit how far from the city center a person can live as the more remote someone finds themselves, the greater the challenge to provide a viable transportation option. Finding transit solutions is a leading agenda item for the county. What are your department’s top priorities? We want to ensure our transportation system is clean, safe and reliable. Another goal is improving convenience, and this is being done through adjusting existing routes using data analysis that tells us where the greatest bottlenecks lie. We are also integrating tech solutions to improve signal timing and rider information and developing mobile apps that provide accurate, to-the-minute information of the location and arrival times of buses. While expanding the current infrastructure is part of the long-term solution, this involves decisions that are made outside of our department’s control. For us, it is equally important to increase ridership and utilization of existing assets, not simply adding more to the mix. How is the department working to increase ridership? 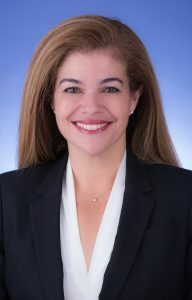 We have hired on team members whose work focuses on “ridership enhancement.” Our marketing initiatives involve developing critical partnerships with key stakeholders—for instance the Miami Downtown Development Authority (DDA), the Greater Miami Convention and Visitors Bureau (GMCVB), local chambers of commerce, as well as corporate entities. We want to spread the message to the public that “hey, you are part of the mobility solution—and what’s more, you can save money and make better use of your time by using mass transit.” Furthermore, we are working to promote the opportunity for employers to join the corporate discount pass program. Employers receive a $130 tax break per participant and can help employees save on parking and ease their commutes.